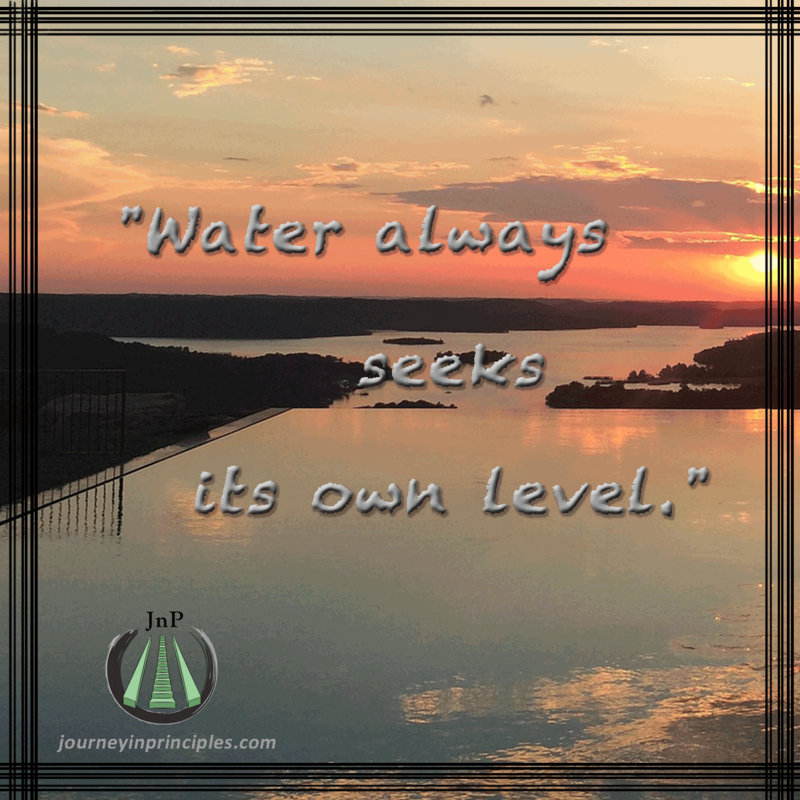 If you have two separate bodies of water connected to one another, their levels must be equal. Unless, of course, an outside force changes the dynamics (such as the wind). If we are 70% water (give or take 10%) then likewise we will inevitably seek others we perceive as being the same level. The problem becomes the outside forces that can – for a time – keep us from our natural level. Or, give us the appearance of a false level. Eventually, water will always seek its own level. We must ask ourselves, are those around us at the level we want? Or, are we going to look to those that can elevate us out of our current depth? When we begin to apply essential living principles to our lives, these levels define themselves. When this happens, we may find that we are living a level that others seek from us. Next Next post: All Spiritual Principles work together.